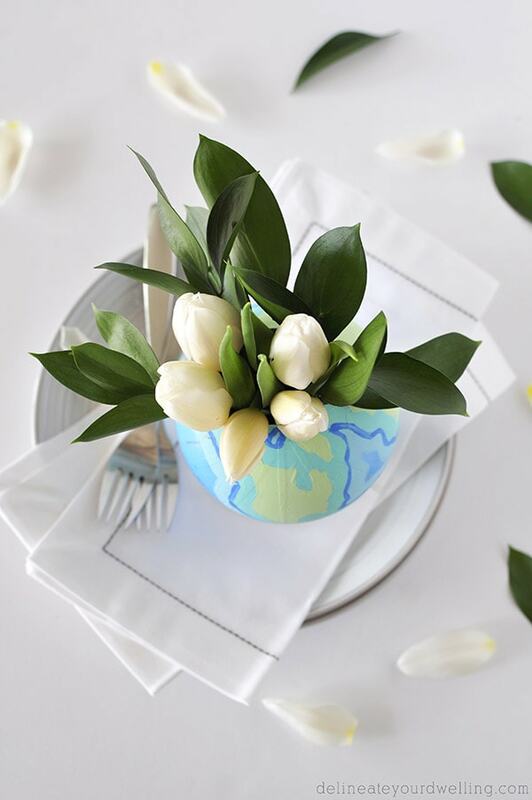 Can you believe spring is in full swing and summer is quickly heading our way? I have been soaking up every moment of budding flowers, green plants showing up everywhere and lovely spring rains (Although I live in the foothills of a NM mountain range and boy do we get some WIND every spring. That part is not my favorite.). 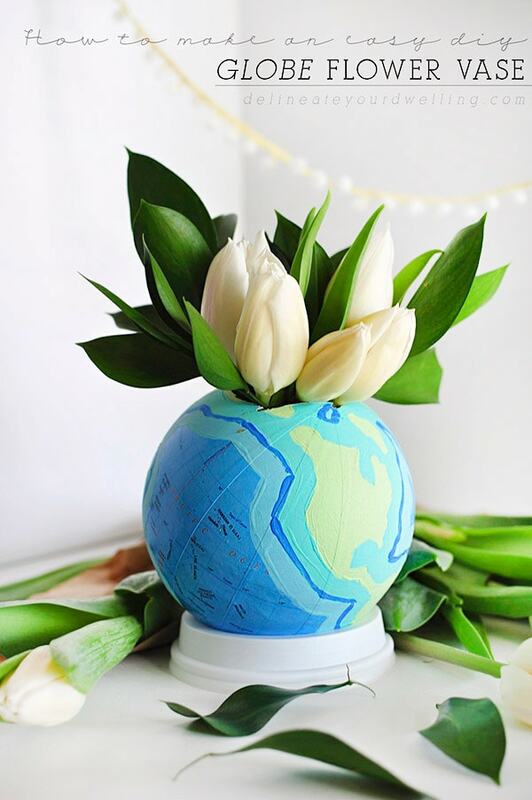 However, in the spirit of spring, today I am sharing how to make an easy DIY Globe Flower Vase. 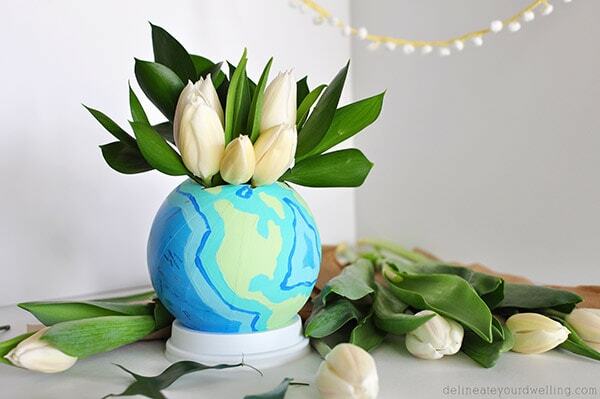 I just love the bright and colorful nature of this vase. It’s a little non.conventional as far as vases go, but I like finding uses out of everyday objects! 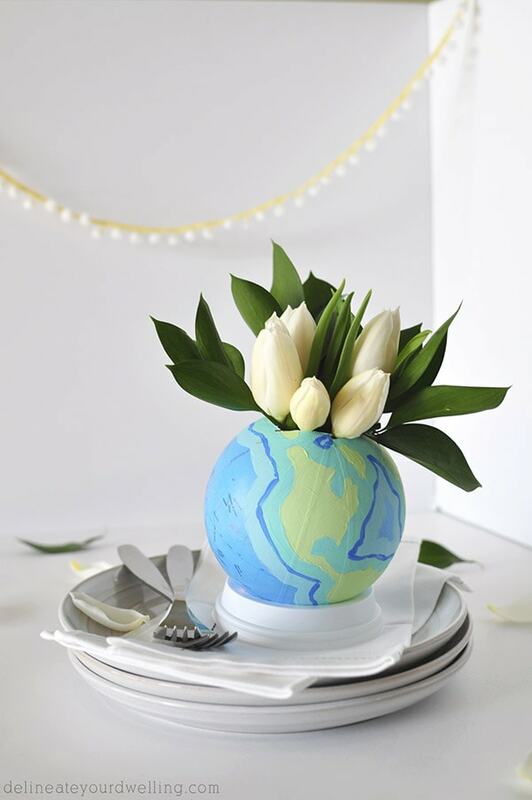 I wanted to simplify the pattern and colors of my globe, so I selected just four colors. I first outlined all the land in an aqua color. Then, filled in the outlines with a pea green color. Next was a soft blue and then a pop of brighter blue. This project was originally shared as a contributor post for Place of My Taste. Wow! 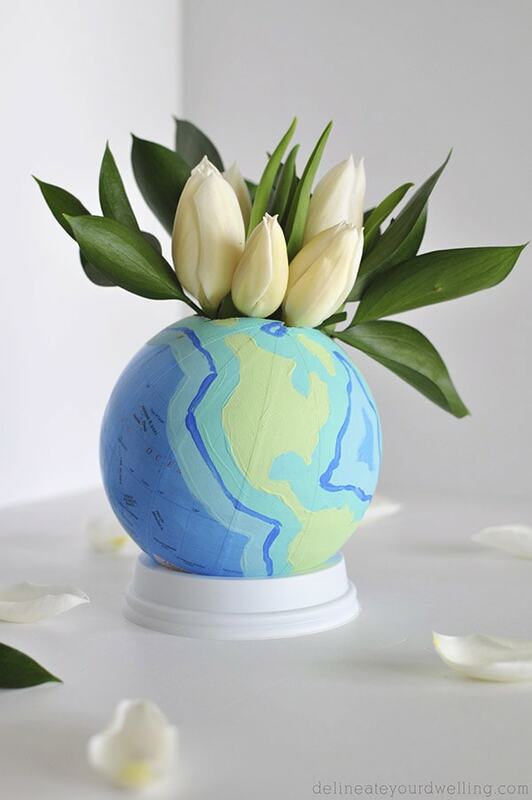 I like your idea with the globe and the white tulips. Cool! Love how original this is Amy! Awesome. 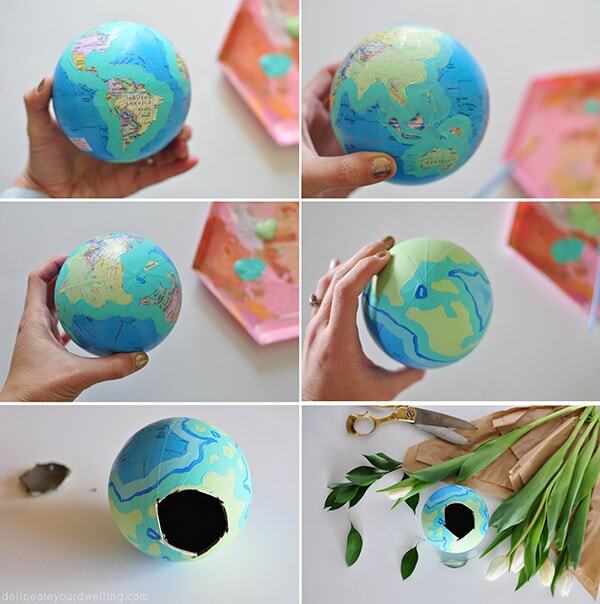 What a cute project and so creative. 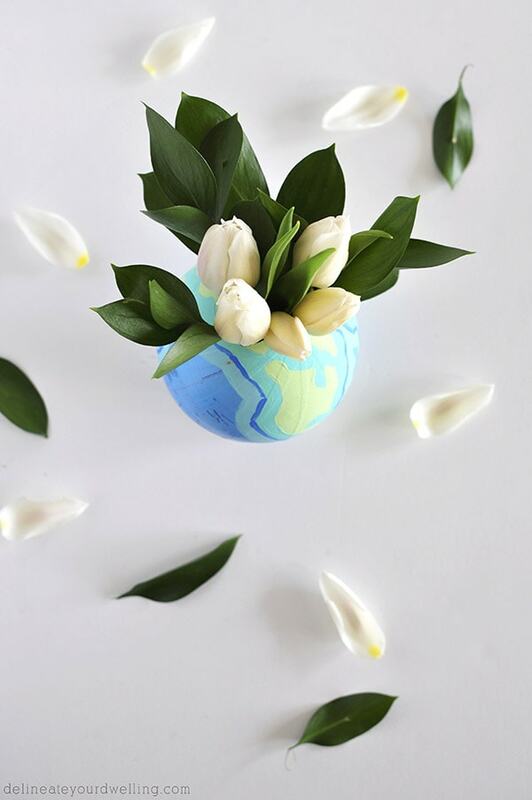 The tulips were a perfect floral choice. I absolutely love this! What a great idea! And I love the way you simplified things by painting over them…gorgeous. Aw, thanks so much Amy!! Thanks, Lisa! 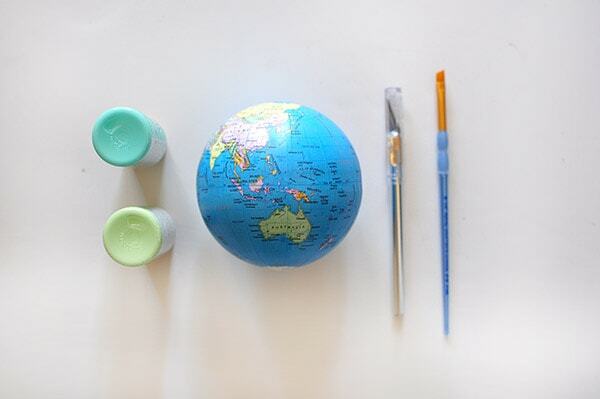 It was fun to paint the globe just a bit. Have a great week! Such a cute fun idea!! Love it Amy! Ooh, I love this! Thanks for linking to the Do Tell Tuesday party!